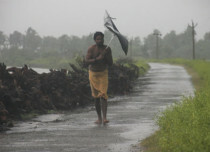 Since last many days, heavy to very heavy rains have been occurring in many parts of Bangladesh. 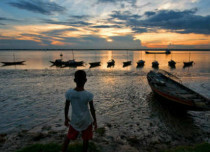 In fact, a few places in southern and southwest districts of the country have observed extremely heavy spells. 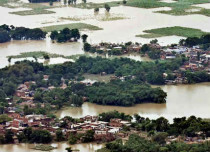 As much as 279 mm of rainfall has been recorded by Gopalganj in the past 24 hours. 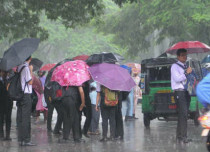 In a span of last 24 hours from 8:30 am on Friday, Dhaka and Patuakhali recorded heavy rainfall of 179 mm of rainfall, followed by Barisal at 186 mm, Tangail 177 mm, Ishurdi 172 mm, Khulna 163 mm, Comilla 119 mm, Mymensingh 112 mm and Chuadanga 100 mm. 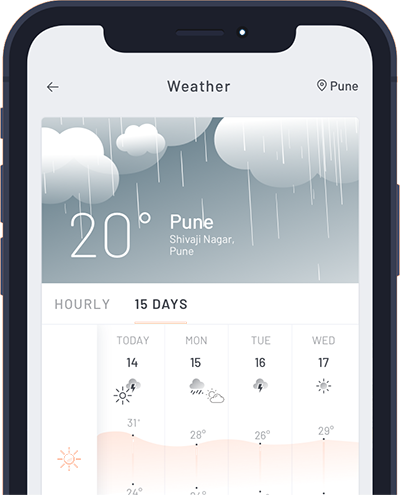 These weather activities can be attributed to a depression which is seen over Gangetic West Bengal and adjoining areas of Jharkhand which has recurved and is likely to move north-northeastwards. Now, this system lies over Murshidabad and adjoining areas of Bangladesh. Further, it is expected to move northeastwards and will gradually weaken. Due to the deep pressure gradient, thick cloud mass can be observed over North of Bay of Bengal and southern districts of Bangladesh. Due to this, these rains are expected to shift towards northeastwards and Central of Bangladesh during the next 12 hours. Therefore, the aforementioned regions will receive heavy to very heavy rain and thundershowers during the similar time frame. 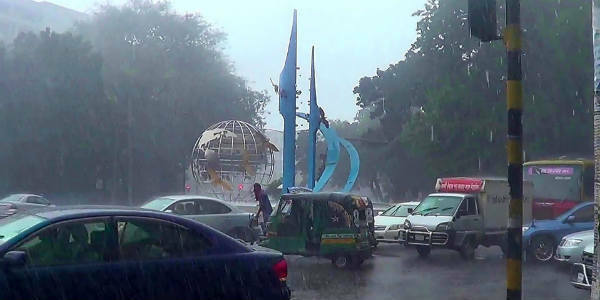 Districts such as Rajshahi, Rangpur, Mymensingh, Dhaka, Khulna, Barisal, Chittagong, and Sylhet will witness incessant rains for the next 12 hours. As the above-mentioned weather system is likely to weaken, the intensity of these rains is anticipated to decrease significantly over southern and southwest districts of the country within the span of next 12 hours. Meanwhile, an overcast sky is likely to prevail over the entire country for the next few days. Also, day and night temperatures may fall slightly over the country.